been undergoing a rather sweeping and dramatic renaissance. Award winning microbreweries, eclectic shops, a diverse array of restaurants with sidewalk seating, a craft soap shop, a coffee shop where the beans are roasted daily, art galleries, murals, and dynamic events that add color and vibrancy are transforming Andy Devine Avenue (Route 66) and Beale Street. 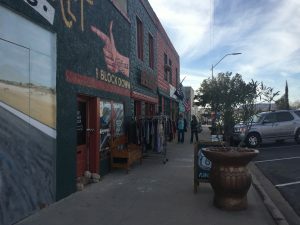 The 2014 Route 66 International Festival hosted by the city of Kingman is often credited for being the catalyst that sparked the transformation from forlorn and forgotten district to destination. In attendance of this event were Route 66 enthusiasts from throughout Europe as well as Canada and the United States. 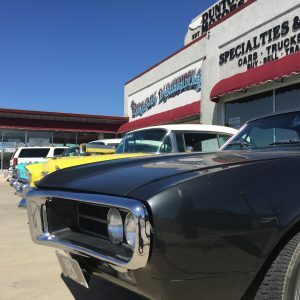 The theme for the historic event was Kingman: Crossroads of the Past & Future, a rather fitting moniker as the city made arrangement with the Historic Vehicle Foundation to establish the world’s first electric vehicle museum during the festival. The embryonic EV museum, housed in the Powerhouse Visitor Center, was recently gifted a number of historically significant electric vehicles from the prestigious Peterson Automotive Museum in Los Angeles. The Powerhouse Visitor Center also houses the gift shop and offices for the Historic Route 66 Association of Arizona, the city’s information center and a gift shop, a Bob Boze Bell exhibit and an award winning museum that chronicles the evolution of transportation in northwest Arizona from the Beale Wagon Road through the modern era. At the heart of the dynamic renaissance is Beale Street, one block north of Andy Devine Avenue. Kingman Center for the Arts hosts a regular series of exhibitions as well as performances. The ArtHub with its “artist in residence” program adds to the diversity of the growing arts community in Kingman. 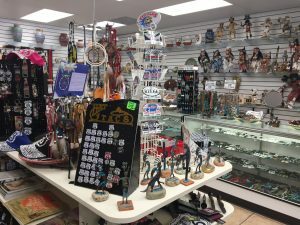 Canada Mart offers a staggering array of Native American jewelry, including silver and turquoise, and souvenirs. On the corner of Fifth and Beale Streets, dominated by Savon Bath Treats and Beale Street Brews, the air is filled with the heady aroma of fresh roasted coffee and craft soaps. Across the street is the Garlic Clove restaurant and The Grand Event Center that hosts an array of events ranging from murder mystery dinner theater to conferences. Black Bridge Brewery is a popular neighborhood pub. In addition to award winning beers, another specialty is fresh made non-alcoholic ginger ale. Rickety Cricket Brewing Company a block to the west blends the old an new perfectly. One half of the restaurant and brewery is the 1946 Kingman Club with its signature neon sign. The other half is a modern facility with a delightfully eclectic charm. In addition to craft beers, Rickety Cricket also offers award winning pizza, and all breads as well as pasta are made on site. Floyd & Company barbecue and wood fired pizza and Sirens also offer superb dining, and as with most restaurants and breweries, sidewalk dining is an option on a warm evening. Diana’s Cellar Door is a delightful wine bar that offers live music on most evenings. The variety of shops is equally diverse, Gracie’s Vintage, the Farmhouse, and Southwest Trading Company to name but a few. And for overnight guests, Cactus Kitsch is centrally located and is within easy walking distance of most restaurants and shops. And if you want to really enhance your visit to historic Kingman, Arizona, plan to be downtown on the third Saturday evening of each month, March through October, for Chillin’ on Beale. 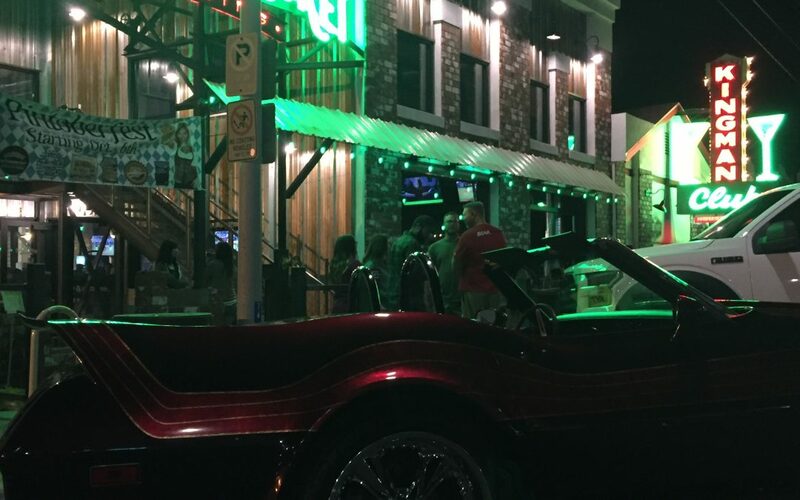 An old fashioned evening of cruising, cars, and music adds an infectious vibrancy to an historic district in the midst of renaissance.